An adult house mouse measures a mere 2 ½ to 3 ½ inches in body length (not counting the tail) and weighs less than an ounce. Due to their size, mice are able to enter your home or business through the tiniest of nooks and crannies, slipping through cracks as small as ¼ inch. Consequently, mice can be found almost anywhere, which actually makes them even more dangerous than their larger cousin, the rat. 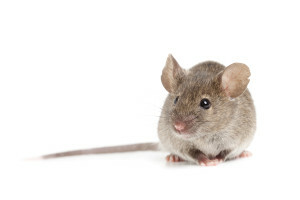 Mice thrive in a variety of conditions in and around homes and businesses. Although they typically feed on grains, mice will consume almost anything, including food intended for human inhabitants of the building they are infesting. They typically establish a territory within 10 to 30 feet from food sources. They nest within sheltered structures or burrows, using materials such as paper products, packing materials, wall/attic insulation, etc. Mice are prolific breeders, with a single female giving birth to between 5 and 10 litters of young per year. Litters typically consist of five or six young, who are mature within six to ten weeks. House mice are more than a nuisance. Not only are their chewing habits destructive, targeting anything from walls to wires, such gnawing poses a potential fire hazard. Additionally, mice carry a wide variety of dangerous and virulent diseases, spread by contact with food and through their droppings. The most threatening of these is Salmonella, which causes food poisoning, spread via droppings, as is Tapeworm. Other transmittable organisms include leptospirosis, infectious jaundice and Weil’s Disease via urine in food or water. Similar to our approach for rats, we use bait stations for eliminating mice. Typically, an interior solution is all that is needed. Occasionally, it’s also necessary to treat the attic. Our process enables us to determine the level of infestation early, giving the customer an idea of how mild or severe their problem is.